We’d love your help. 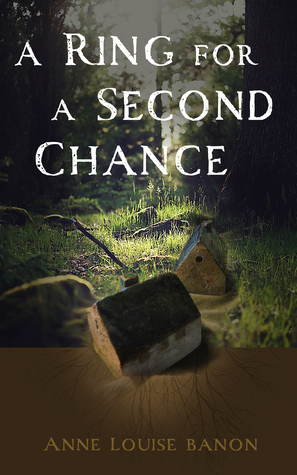 Let us know what’s wrong with this preview of A Ring for a Second Chance by Anne Louise Bannon. To ask other readers questions about A Ring for a Second Chance, please sign up. Hi! I’m Anne Louise Bannon. I wrote my first short story at age 9 and my first novel at age 15. Since then, I've written a couple other books and have worked as a journalist. I've written about a lot of different things, from winemaking to city hall meetings to fantasy and my work has appeared in newspapers across the country and numerous websites. Mostly though, I write mysteries, with some fantas Hi! I’m Anne Louise Bannon. I wrote my first short story at age 9 and my first novel at age 15. Since then, I've written a couple other books and have worked as a journalist. I've written about a lot of different things, from winemaking to city hall meetings to fantasy and my work has appeared in newspapers across the country and numerous websites. Mostly though, I write mysteries, with some fantasy and romance tossed in. I've got several books out with more coming.